Forschungspräsentation hat für uns einen hohen Stellenwert. Hier geht es zur Vorankündigung der ICCL 2019. Hier geht es zum Webauftritt der INFORMS Telecommunication Conference 2018.
methods and tools for supporting decision-making processes of cloud consumers and providers. Creative Cloud) that relies on cloud infrastructure and services of Amazon Web Services (AWS). intensively studying decision analytics in the context of cloud computing. problems can be solved with exact and approximate methods under local and global constraints. provider-related decisions and how to manage the potential trade-off. applications incorporate mobile workforce management systems. Intelligent decision support is known to be crucial in many business contexts, and it will both gain momentum and become increasingly challenging through the availability of very large data pools (big data). Sensor networks, social network activities, RFID deployment, Internet search histories and retail transactions are just a few examples of sources that are likely to generate Exabytes or even Zettabytes of data. The data are characterized by high levels of volume, velocity, variety and variability, and traditional analytics and techniques may easily fall short of storing, analyzing and processing these data and, even more so, using them in an intelligent way for decision making. Key advantages of successfully managing big data and using them for decision making and business analytics include the improvement of overall efficiency, the improvement of speed and accuracy of decision making, the ability to forecast, the identification of business opportunities and a greater understanding of citizens’ and customers’ needs. Turning big data into business and society value will thus become one of the major challenges in the IS discipline. The close link between data and decisions shall avoid the processing of irrelevant or redundant information and thus help reduce information overload while ensuring that all relevant information is processed. This track looks for new and innovative methodologies, techniques, theories, and systems that allow for exploiting big data pools to support decision makers. We invite both quantitative and analytical contributions. HICSS 47: Minitrack on "Intelligent Decision Support for Logistics and Supply Chain Management"
"Intelligent Decision Support for Logistics and Supply Chain Management"
This minitrack features theoretical developments, real-world applications and software solutions related to solving decision problems in logistics and supply chain management. Methods include optimization, heuristics and metaheuristics, simulation, agent technologies, and descriptive methods. negotiate prices, and distribute alerts throughout the logistics networks. The design and implementation of intelligent decision technologies to support human agents in logistics and SCM is a very active field in research, consulting and software development. Many such technologies or systems are continuously being developed, implemented and used in real-world scenarios. Therefore, we believe that both the scientific community and practitioners developing or using logistics and SCM solutions will recognize this minitrack. HICSS 44 Minitrack: "Intelligent Decision Supporet for Logistics and Supply Chain Management"
The minitrack features theoretical developments, real-world applications and software solutions related to solving decision problems in logistics and supply chain management. Methods include optimization, heuristics and meta-heuristics, simulation, agent technologies, and descriptive methods. This minitrack is a continuation of the successful minitrack "Intelligent Decision Support for (e-)Logistics and Supply Chain Management" of HICSS-36 through HICSS-43. In each case accepted papers were usually being presented in two or three sessions and an open forum on future issues of e-Logistics took place. The sessions were always attended by 15 to 20 people with an exception in 2005 where attendance was somewhat higher at about 20-25. Attendance of 2010 is still open but expected to be n the same line as before. Information technology (IT) is a prerequisite for successful supply chain management (SCM) today and will become even more so in near future. The logistics and SCM field is developing very dynamically. Business-to-business transactions are made via the Internet and enterprise resource planning (ERP) systems that manage the transactional information within the enterprise. 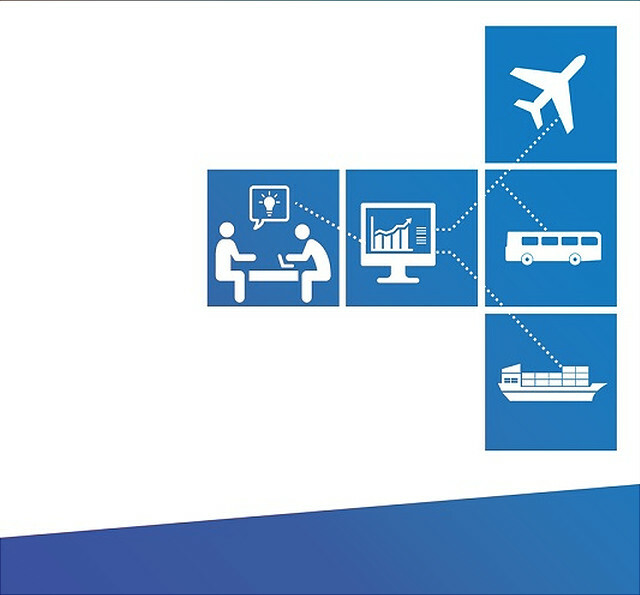 While IT systems are vital components in supply chains, their successful management rests on intelligent and coordinated decision making throughout the logistics network. Intelligent decision support using advanced decision technologies are becoming increasingly important in logistics and SCM. Data warehouses and data mining can be used to store and analyze product, inventory, and sales information. Simulation and optimization, which can be found in advanced planning and scheduling systems, can be employed for, e.g., inventory, production, procurement, and distribution planning. Intelligent agents can e.g. communicate with different partners in the supply chain, assist in collecting information, share product information, negotiate prices, and distribute alerts throughout the logistics networks. The design and implementation of intelligent decision technologies to support human agents in logistics and SCM is a very active field in research, consulting and software development. Many such technologies or systems have been implemented recently or are currently in the stage of implementation. We do, therefore, believe that this minitrack will be recognized by both the scientific community and practitioners developing or using logistics and SCM solutions. We aim again at organizing a minitrack consisting of two or three sessions depending on the number of high quality submissions. We seek papers dealing with decision technologies which contribute to intelligent decision support in the whole field of logistics and in particular in all categories of SCM. This includes but is not restricted to simulation, optimization, heuristics, metaheuristics, agent technologies, descriptive models, data warehousing, and data mining. We are especially interested in real-world applications and in software solutions which assist in solving decision problems. This is extended towards, e.g., advanced planning systems and the intelligent use of enterprise resource planning systems. Also conceptual ideas, reports on projects in progress, and case studies are welcome. Moreover, teaching cases both at the university as well as the executive level may be of interest. HICSS 47 Minitrack: "Telecommunications Analytics and Techno-Economics"
The minitrack considers original and fundamental work in the field of telecommunications, internet and media technoeconomics. More specifically, the minitrack features theoretical developments, real-world applications and software solutions related to Telecommunications Analytics and Economics. Methods include game theory, optimization, heuristics and meta-heuristics, simulation, agent technologies, and descriptive methods. 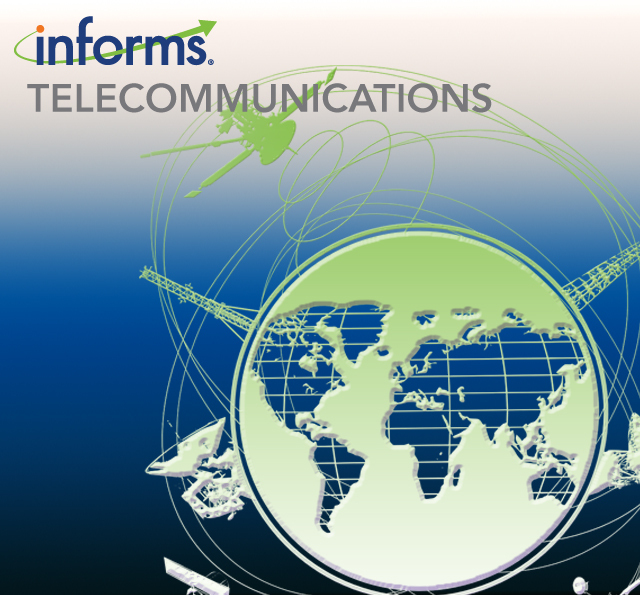 Telecommunications network design and related economic and business aspects are an ongoing research topic. Demand is changing continuously and telecommunications service providers have to cope with extended demands as well as quality of service (QoS) requirements. Moreover, the standardization of advanced mobile communication systems, in particular of new technologies like Long Term Evolution (LTE) and LTE Advanced imply new issues in mobile communications regarding available bandwidth. To take advantage of the full feature set of next generation networks, transport network design has to face new requirements, caused by architectural changes and technologies. Also, newly defined interfaces impact the transport network requirements. At the same time a tendency of locating network elements at fewer, central sites to reduce operational expenditure can be observed, in particular concerning the transport layer. That is, we have to look at the mobile market as well as to questions related to fiber-to-the-home developments, questions of how to analyse and design or re-design telecommunications networks and services from a technology and economics standpoint. This minitrack aims to support the research in these directions by accommodating original contributions from researchers working in all possible aspects of telecommunications techno-economics. This is done from various viewpoints like systems engineers, decision analytics specialists and economists, just to name a few, underlying the interdisciplinary and multifaceted character of telecommunications techno-economics. Topics include but are not limited to behaviour analysis, regulation, network design, policy and management, mobile services growth models, pricing of internet service providers (ISP), interplay of QoS and price, network effects and network externalities. Selected papers from this minitrack are expected to be fast-tracked for a special issue of the journal Netnomics. HICSS 43 Minitrack: "Intelligent Decision Supporet for Logistics and Supply Chain Management"
January 5 - 8, 2010, The Grand Hyatt Kauai Resort & Spa, Kauai, Hawaii, U.S.A.
Information technology (IT) is a prerequisite for successful supply chain management (SCM) today and will become even more so in near future. The logistics and SCM field is developing very dynamically. Business-to-business transactions are made via the Internet and enterprise resource planning (ERP) systems that manage the transactional information within the enterprise. 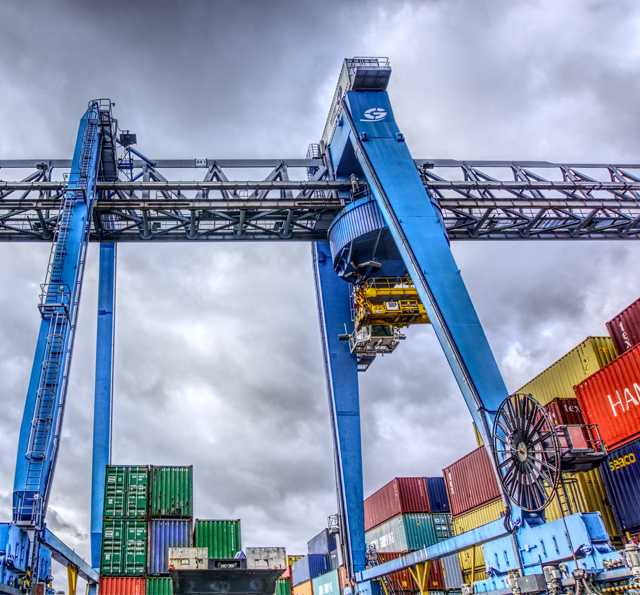 While IT systems are vital components in supply chains, their successful management rests on intelligent and coordinated decision making throughout the logistics network. Intelligent decision support using advanced decision technologies are becoming increasingly important in logistics and SCM. Data warehouses and data mining can be used to store and analyze product, inventory, and sales information. Simulation and optimization, which can be found in advanced planning and scheduling systems, can be employed for, e.g., inventory, production, procurement, and distribution planning. Intelligent agents can e.g. communicate with different partners in the supply chain, assist in collecting information, share product information, negotiate prices, and distribute alerts throughout the logistics networks. The design and implementation of intelligent decision technologies to support human agents in logistics and SCM is a very active field in research, consulting and software development. Many such technologies or systems have been implemented recently or are currently in the stage of implementation. We do, therefore, believe that this minitrack will be recognized by both the scientific community and practitioners developing or using logistics and SCM solutions. We seek papers dealing with decision technologies which contribute to intelligent decision support in the whole field of logistics and in particular in all categories of SCM. This includes but is not restricted to simulation, optimization, heuristics, metaheuristics, agent technologies, descriptive models, data warehousing, and data mining. We are especially interested in real-world applications and in software solutions which assist in solving decision problems. This is extended towards, e.g., advanced planning systems and the intelligent use of enterprise resource planning systems. Also conceptual ideas, reports on projects in progress, and case studies are welcome. Moreover, teaching cases both at the university as well as the executive level may be of interest. September 15, 2009 Final version of paper due to publisher. At least one author of each paper must register by this date.